If you're throwing a dinner party like I am for Halloween, you're going to have to decorate your table! 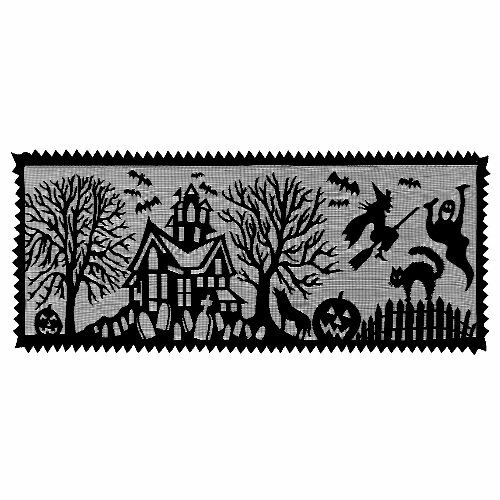 There are so many Halloween themed table runners to sift through. Here are my top 6 Halloween table runners for 2016! I like how quirky the art on this Halloween table runner is. 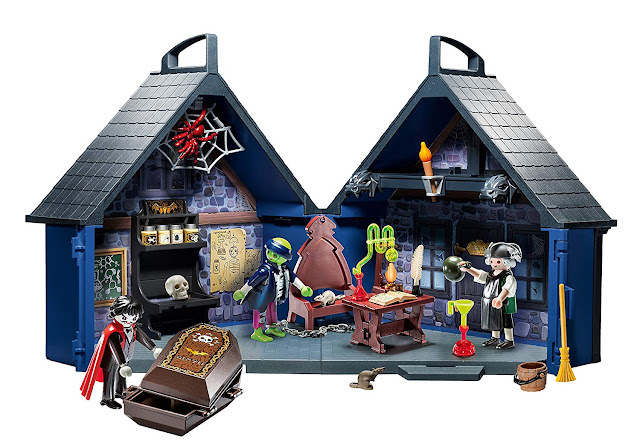 Of course, you have all the classic colors, but the haunted house looks alive! I love the simple textures on the house mixed with the bright orange windows. This haunted house table runner is very kid friendly. Those smiling ghosts don't look threatening at all. In fact, they look like they are waiting to lead you into their glitzy orange cottage! That deep purple color is absolutely stunning on this witching Hour table runner. It would be a great runner to have if you're having a witchy gathering! Invite some ladies over for tea during Halloween and keep it mellow. 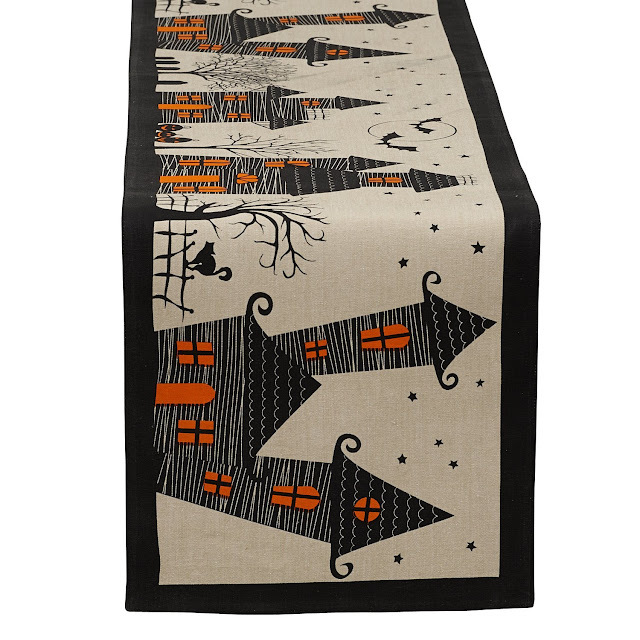 This Halloween patchwork table runner is like a glimpse into Halloween night. 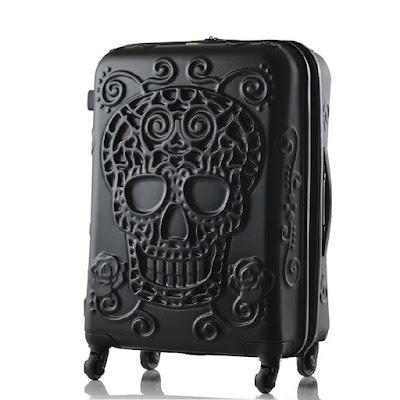 It features ghosts, witches, skulls, and everything you would ever need to have for Halloween! 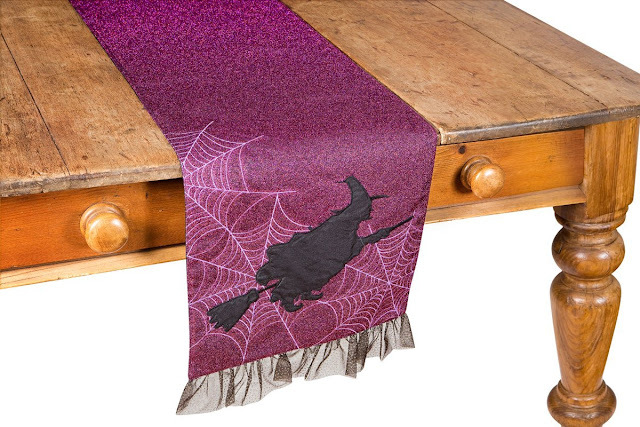 You can't not have the classic spider web table runner for Halloween. I particularly love that this is flat and not lacy, because it's easier to balance glasses on it! The black background under the grey spider webs is another classic Halloween color combination that I love. 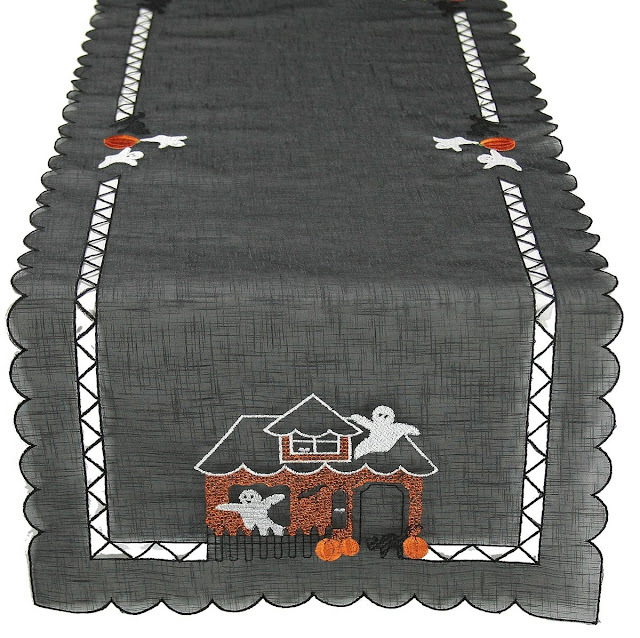 Now this lace Spooky Hollow table runner looks like a party! I love the playful ghosts coming out from the cemetery. The witch looks like she's having such a good time that she's not even gripping her broom! 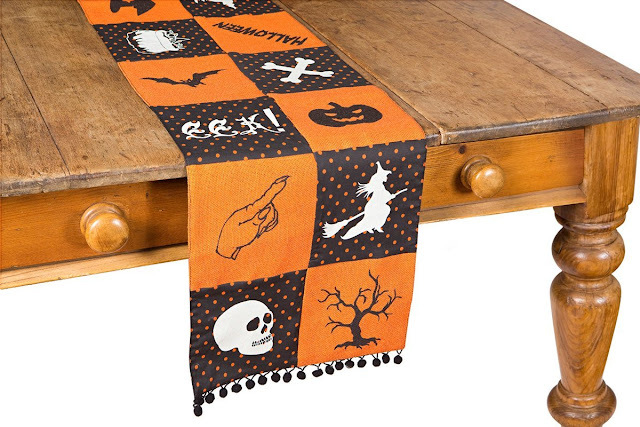 What do you think of these 6 Halloween table runners? Make sure to comment below and let me know your thoughts!